With over 4554 beaches, marines and sustainable boating tourism operators in 45 countries, the Blue Flag award has become a quality label for sustainable coastal tourism. In Greece, like Green Key, it is run by the Society for the Protection of Nature. 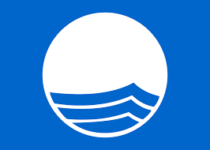 The Blue Flag program has awarded hundreds of beaches across the country and a handful of marinas.